Quaking aspen (Populus tremuloides) are lovely in the wild, and enjoy the most extensive native range of any tree on the continent. Their leaves have flattened petioles, so they tremble in every light breeze. You may have admired aspens lighting up park slopes with brilliant yellow fall color. But be sure to read up on quaking aspen tree facts before you plant them in your backyard. Cultivated aspens can be a problem to a homeowner. 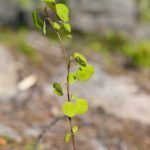 Read on for information about the pros and cons of planting a quaking aspen tree, and how to grow quaking aspen trees. 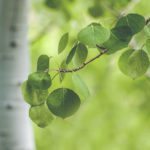 Before planting a quaking aspen tree in your garden, you’ll need to understand the pros and cons of cultivated aspen trees. Some gardeners love them, some do not. Aspen trees grow very quickly and are very hardy. That means that you can “furnish” a new backyard in just a few seasons if you plant aspens. Aspens are small and won’t overwhelm your yard, and sometimes they provide nice autumn color. On the other hand, consider that the role of aspens in nature is as a “succession” tree. Its job in the wild is to spread quickly in eroded or burned out areas, providing cover for seedlings of forest trees like pine, fir and spruce. As the forest trees get bigger, the aspen die out. Quaking aspen tree facts establish that this succession tree spreads very fast in proper terrain. It grows fast from seeds, but also grows from suckers. 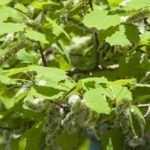 Planting a quaking aspen tree can lead quickly to many quaking aspen weed trees invading your yard. How Big Do Quaking Aspens Get? If you are planting a quaking aspen tree, you may ask “how big do quaking aspens get?” They are generally small or medium trees, but can grow to 70 feet tall in the wild. Note that cultivated trees grown in soil unlike that in which the tree experiences in the wild may stay smaller than trees in nature. They also may drop their leaves in the fall without that brilliant yellow display you see in the parks. If you decide to go ahead with planting a quaking aspen tree, try to pick nursery-grown specimens rather than those taken from the wild. Nursery grown trees require less quaking aspen tree care and may avoid some of the disease issues the tree experiences in cultivation. A large part of quaking aspen tree care involves selecting an appropriate planting location. Plant the trees in moist, well-drained soil. The soil should be slightly acidic for the tree to thrive. Plant aspens on northern or eastern slopes, or northern or eastern sides of your house, rather than sunnier areas. 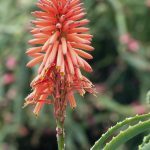 They cannot tolerate drought or hot, dry soil.